 Big Red Stores will host a baseball game between the Bryant Hornets and Benton Panthers at the new Everett Field at Benton Stadium on Saturday, April 6. The tailgate party begins at 3pm. Over forty vendors have registered. The game starts at 5pm following the dedication ceremony of Everett Field, featuring Dwight and Susie Everett. The first pitch will be thrown by former Benton Panther and Cy Young Award Winner, Cliff Lee, and former Bryant Hornet and 2016 World Series Champion, Travis Wood. The game will be followed by a firework show presented by the banks of Saline County. 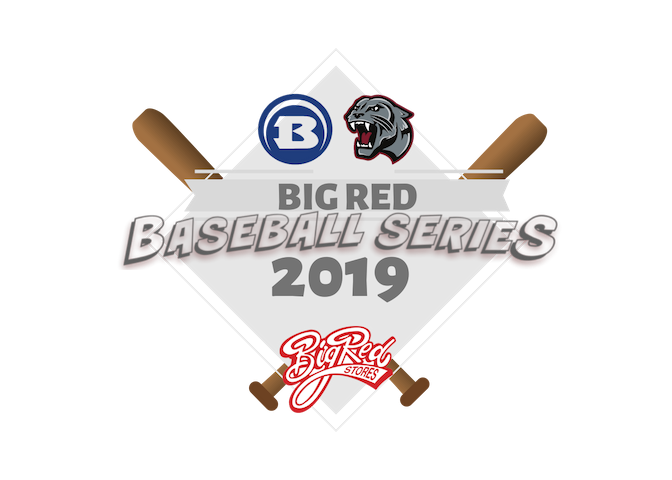 Tickets (t-shirt included) are available at Saline County Big Red Stores for $10. Khalen Robinson was selected to the All-Arkansas Preps boys basketball team. Congratulations to Ashlyn Descarpentrie for receiving the Sturgis Fellowship and Rachel Beza-Juarez for receiving the Honors College Fellowship, both very prestigious scholarships from UofA. Congratulations to senior Alex Ball for coming in 3rd place for the 2018 Ideas Matter Clinton Foundation Essay Contest. Two students placed at HOSA: Imanii Jones, 3rd in Medical Law and Ethics; Trent Roe, 3rd in Sports Medicine. BHS yearbook won a Gold Crown from the Columbia Scholastic Press Association. Only 18 high school print yearbooks nationwide received the CSPA Gold Crown for 2017-2018. BMS Robotics 1338B won first place at the state robotics tournament and qualified for world competition. For the first time, all three BHS concert ensembles (Wind Symphony & Concert Winds) received straight Superior ratings. BHS indoor percussion placed second in Missouri finals. BHS Quiz Bowl won 3rd place at Regionals, qualifying for State April 13. Congrats to Josh Robinson for winning the high jump with a height of 6-6, tying a 29-year-old school record! A total of 2,322 students enjoyed free breakfast during National School Breakfast Week. The Hill Farm Archery Team became THREE time Champs of the Elementary Division of the ANASP State Tournament! Kolby Duncan earned 2nd place Overall Boys; Savannah Bergeren earned 3rd place Overall State. Congrats to Alyssa Fason on continuing her Academic/Soccer career at the University of Central Arkansas. Bethel 8th grader Brylee Bradford shot 4th at the ANASP State Tournament, earning her a trip to the national competition in May. Community partner, Garver, delivered STEM kits and $300 donations to Bethel Middle, Bryant Middle and Salem Elementary. The kit encourages teams to build a contraption from the components. Teams submit a video of their project for the Garver Chain Reaction Challenge. 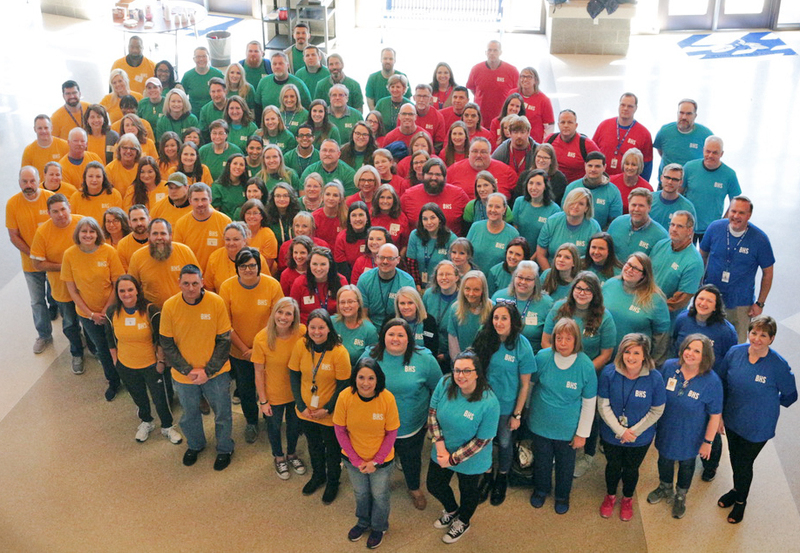 The faculty of Bryant Junior High met together for the first time on the recent Professional Development day. The group is excited to welcome our 8th and 9th graders when BJHS opens in August! Bryant High School's Drama Department is proud to present the spring production of Crazy For You. The Gershwin musical comedy is the classic tale of a boy, a girl, and a theater in need of salvation. Tickets are $10 for adults, $5 for students. All seats are reserved. Purchase tickets online. Summer Blast is an enrichment camp for high ability and gifted learners who will have completed grades 2-7 during the current school year. Students will have the opportunity to explore and expand their interests through classes taught by great teachers. The camp will meet at Hurricane Creek Elementary School during the week of May 28-31 on Tuesday-Friday, 8:00am to 12:00pm daily. Cost is $85 due upon application. To register, visit bryantschools.org/gt by April 18. Ready to Be a Hornet? 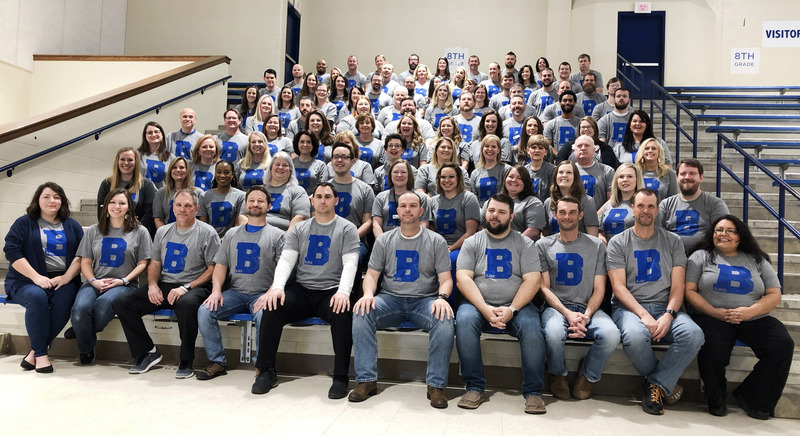 Bryant Schools is looking forward to meeting our new kindergarteners and their parents. Registration for the 2019-20 school year is April 10 and April 11, 9am-2pm. Child must be 5 years of age on or before August 1 in order to be eligible. Students will register at their zoned elementary school. Download registration forms at bit.ly/HornetReady2019-20. Stop by the Parent Center during Kindergarten Registration for the 6th Annual Open House! Pre-K Registration is April 17 & 18, 8:30am-3:30pm, at Bryant Elementary Gym (behind Hornet Health Clinic). Child must be 4 years of age on or before August 1 in order to be eligible.